Often called the ‘the best NCLEX® exam review book ever,’ Saunders Comprehensive Review for the NCLEX-RN® Examination, 7th Edition provides everything you need to prepare for the NCLEX exam. Don't make the mistake of assuming the quality of the questions is the same in all NCLEX exam review books, because only this book includes the kind of questions that consistently test the critical thinking skills necessary to pass today's NCLEX exam. Even better, all answers include detailed rationales to help you learn from your answer choices, as well as test-taking strategies with tips on how to best approach each question. Written by the most trusted name in NCLEX review, Linda Anne Silvestri, and updated to reflect the most current 2016 NCLEX test plan, KEY FEATURES * Over 5,100 practice questions in the text and online offer ample testing practice. 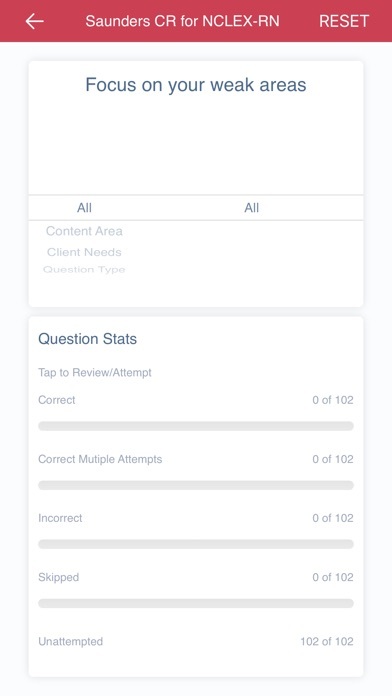 * Question categories by cognitive level, client needs area, integrated process, and content area give users completely customizable exams or study sessions * UNIQUE! 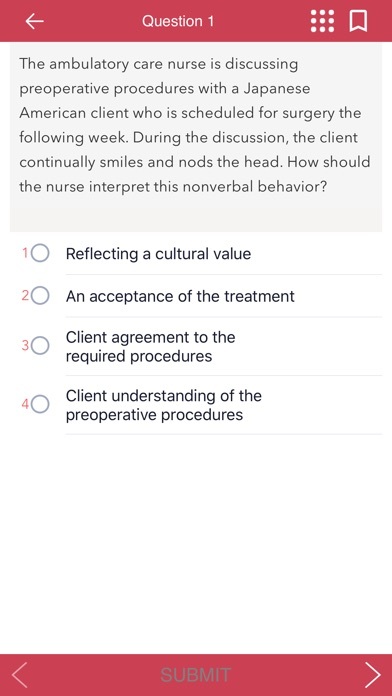 A detailed test-taking strategy and rationale is included for each question, offering clues for analyzing and uncovering the correct answer option, and guiding users to remediation in Saunders Strategies for Test Success: Passing Nursing School and the NCLEX® Exam and Saunders Comprehensive Review for the NCLEX-RN® Exam. 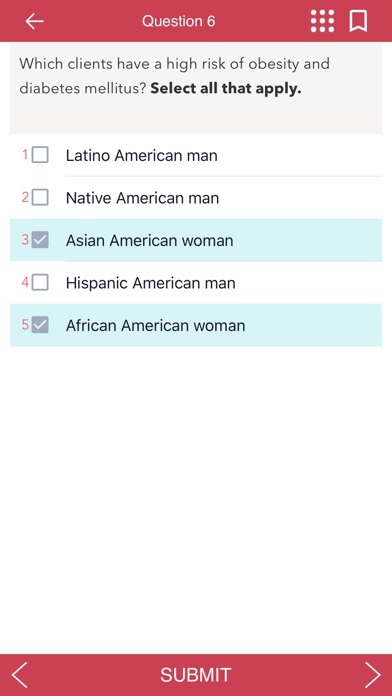 * Inclusion of all alternate item format questions covers multiple response, prioritizing [ordered response], fill-in-the-blank, figure/illustration [hot spot], chart/exhibit, video, and audio questions to give users practice with mastering prioritizing, decision-making, and critical thinking skills. * 85-question comprehensive exam covers all content areas in the book in the same percentages that they are covered on the actual NCLEX-RN test plan. * UNIQUE! Priority Nursing Action boxes list actions for clinical emergent situations requiring immediate action, including a detailed rationale and textbook reference. * UNIQUE! Pyramid Alert! 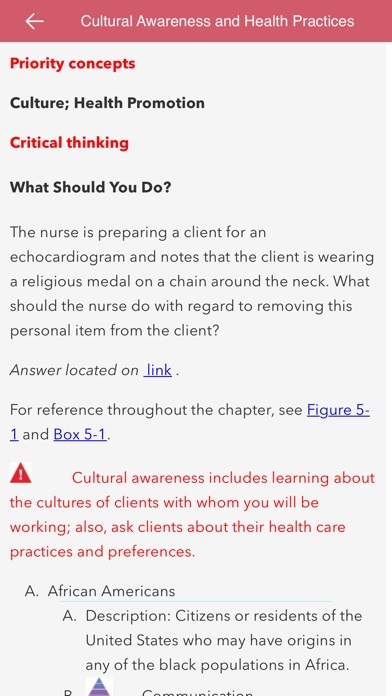 boxes spotlight important nursing concepts and procedures, and include tips and shortcuts for remembering key information. * UNIQUE! Priority concepts call-outs highlight specific concepts related to nursing practice. Concepts have been updated to reflect the latest Giddens: Concepts for Nursing Practice text. * Full-color design offers a more visually engaging learning experience. * Recent graduate’s perspective sections offer meaningful guidance for the NCLEX-RN, nonacademic preparation, test-taking strategies, and the CAT format. * Expanded coverage of delegation, prioritization, and triage/disaster management in the practice questions reflect the areas of increased emphasis on the NCLEX exam. * Automatic software updates allow users to check for changes and content updates throughout the life of the edition. * UNIQUE! Audio review summaries on pharmacology, fluids and electrolytes, and acid-base balance NEW TO THIS EDITION * NEW! Questions and content aligned with the latest NCLEX-RN exam reflect the increased level of difficulty and format changes in some areas. * NEW! Summary of the key changes made to the 2016 NCLEX-RN test plan will be included at the beginning of the text along with how those updates are addressed throughout the new edition. * NEW! Mnemonics will be included as Pyramid Alerts where appropriate throughout the text. * NEW! More Priority Nursing Action boxes to communicate new and pertinent content. * NEW! Revised illustrations provide a more up-to-date and consistent presentation of art throughout the text. * NEW! Completely updated chapter on vital signs and laboratory values include the latest lab values. * NEW! Glossary of the Pyramid Terms located in the back of the book help users access all definitions in one location. Just bought this today 12/27/18 and didn’t have the downloading error the other reviews mention. Works great and I also would like to have the app work in landscape mode versus solely portrait. Could not get this app to work. Kept saying “downloading in process” and I couldn’t even leave the home page. Love the book so I hope they can get the bugs out bc the app would be so convenient. I purchased this in hope of having extra practice questions and the questions do not load. The first day I used this app I was able to select the amount of practice questions and now all sections have a zero. Every time i download it nothing shows up. It constantly says that it’s downloading and extracting files. But nothing ever shows up in the app. So this time i downloaded the in app purchase and i still can’t get anything to download or show up. Waste of money and time. I even messaged company and still haven’t gotten a response. Still not working, I download it twice but nothing. 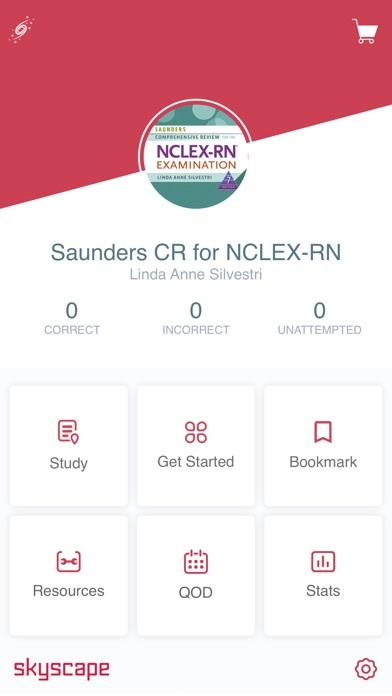 I purchased a physical copy of the Saunders NCLEX-RN book and I cannot use this app with it? Seems a little ridiculous that I have to purchase the same thing again to be able to use this app. Very disappointed. I love this app. I’m so much more likely to do practice questions daily because of its sheer convenience. My only request: please support landscape view. Portrait mode is difficult to use with an iPad + keyboard setup and/or iPhone view (especially if you’re reading the book portion). Great job otherwise and I look forward to future updates! I already have a purchased Saunders practice. How do I access my account on this app?? Hasn’t worked for me yet. I deleted it and downloaded it again like the developer suggested and still nothing. It just continues to say download in progress.